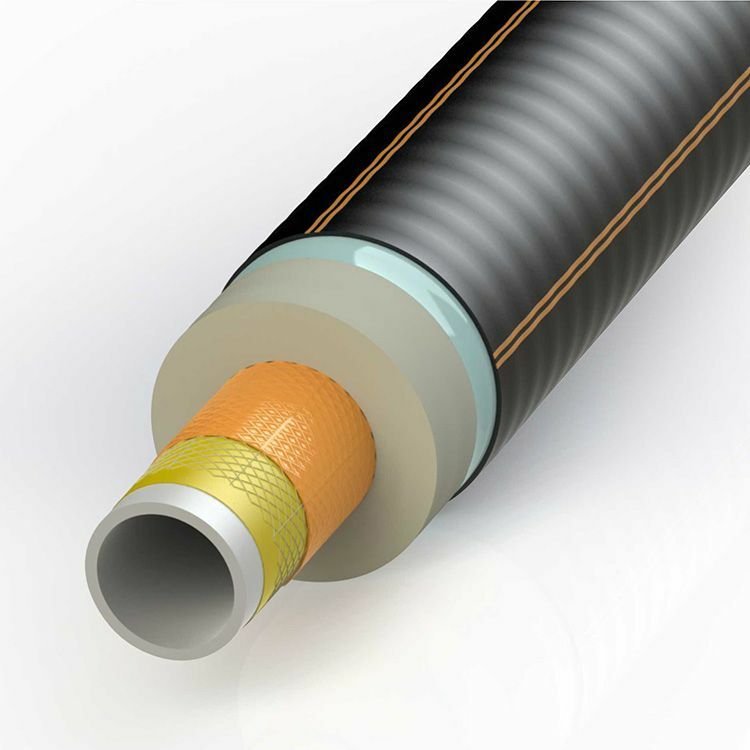 FibreFlex Pro is the next generation of highly-efficient, flexible pre-insulated pipe systems for district heating applications. With a reinforced polymer service pipe, the system can accommodate higher temperatures and pressures than conventional PE-Xa systems - peak temperatures up to 115°C and maximum operating pressure of 10 bar (16 bar option available). 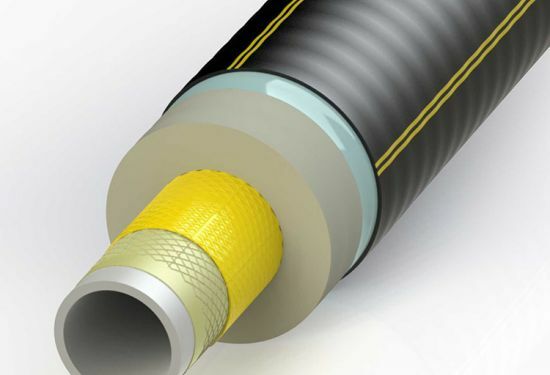 The FibreFlex Pro system’s innovative service pipe has a multi-layered construction, comprising of a PE-Xa pipe at its core, a layer of high-modulus aramid reinforcing mesh and an EVOH oxygen diffusion barrier. This is encased in a bonded layer of closed-cell PUR foam insulation, protected by a tough, yet flexible, corrugated LDPE outer casing. Due to its excellent mechanical strength, the service pipe has a reduced wall thickness, which results in a thicker layer of PUR insulation which can lower heat loss by as much as 17% when compared to conventional pre-insulated PE-Xa systems. Easy to install with a full range of components and fittings available, the system is supplied in coils of up to 410m in length, which minimises on-site joints and lowers installation costs. The system is offered with options for single or twin service pipe configurations within a single outer casing.